We are a small project with large and long term goals. Natural Flood Management combines a wide range of disciplines such as hydrology, geomorphology and ecology. We are keen to support students and citizen scientists to help build evidence and increase our understanding of NFM locally, nationally and even internationally! How do different NFM measures slow and store floodwater, sediment and nutrients? Can we use basic variables (such as % of urban area or woodland) to predict water volumes on a stream level? 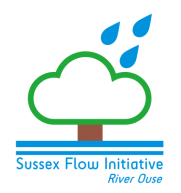 What impact would the loss of trees to ash die back have on flooding in the River Ouse catchment? How does soil type influence the efficacy of different NFM measures? How do subsurface field drains influence flood development and magnitude? We are also happy to support student work by supplying data (where possible), reports or knowledge to aid with your research.